The Open Architecture Network is inviting designers to work one-on-one with students and teachers to design the classroom of the future, addressing the unique challenges of the community in providing a smart, safe and sustainable learning space. The Open Architecture Challenge is an open, international design competition hosted once every two years on the Open Architecture Network. By harnessing the creativity and energy of the design community and beyond, each challenge offers not one but many solutions to a different systemic issue facing the built environment. All are invited to participate. Funding from partners and sponsors goes towards constructing the winning designs. This is a call for entries for the ninth edition of the BEYOND MEDIA festival. 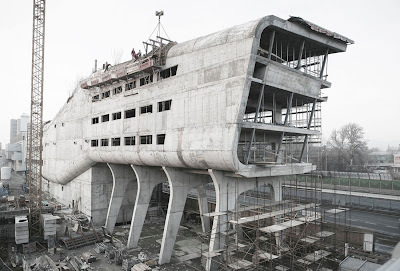 The programme of the festival has been observing the relationship between architecture and the media, and is aimed at videos with an architectural content. Entries will lead to the selection of works by architects, designers, artists, students and other creatives. Videos submitted can be of various kinds; conceptual, interpretational, documentary as well as advertising works. 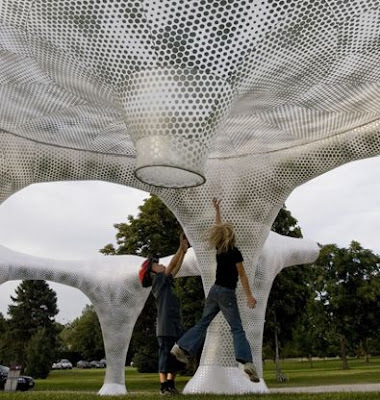 Minsuk Cho of architecture firm Mass Studies installed a temporary pneumatic pavilion along the western edge of the Ferril Lake in Denver's City Park. The roughly 10,000 sq ft structure called 'Air Forest' was designed to be a floating public square. 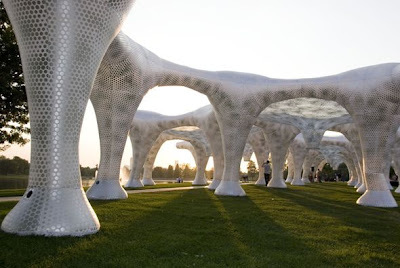 The installation is composed of 9, 4m high hexagonal canopy units, interconnected to create one large piece inflated by 14 blowers. 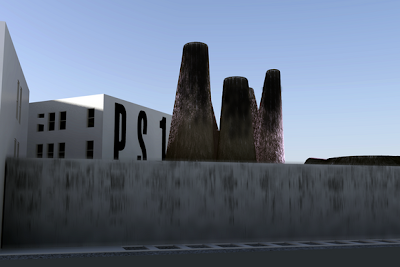 OMA Proposes North Sea Wind Farm | Burle Marx centenary exhibition | architecture 5¢ | Hail Siza | Black History Museum star studded short-list | MOS wins PS1 | AIA seeks 100b stimulus/bailout!!! 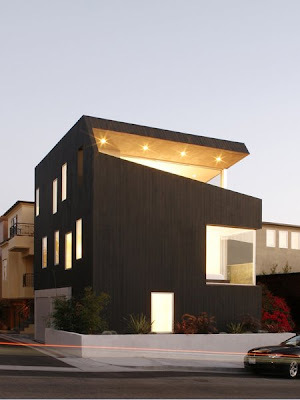 the Surfhouse in California by XTEN architects has a blackened cedar elevation in contrast to the white interior made visually available through the slices of the building's exterior. From its small site the California beach house has inverted a traditional programme, placing public spaces on the upper floors towards views of the Pacific Ocean. This list is by no means exhausting, nor does it contain the obvious choices (Dezeen, ArchDaily, etc) rather an interesting list that those interested in architecture should take note of. The Jamaican who revealed Banksy nearly killed by falling artwork... or so the story goes. Watch this documentary of the removal for sale of a piece of artistic treasure. 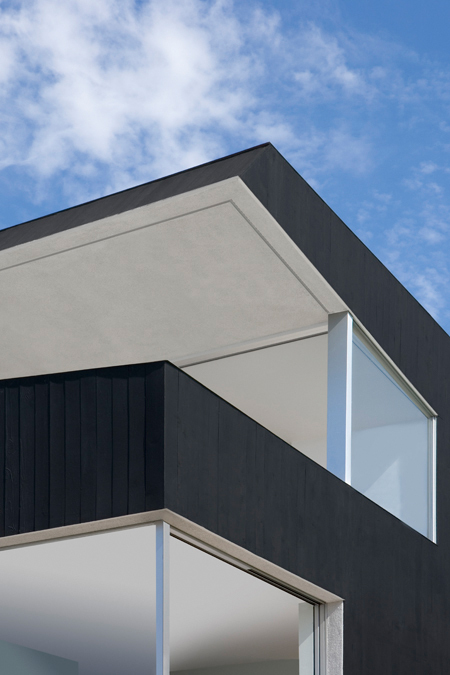 The Tattoo House, designed by Maynard Architects is a simple and boxy extension to an existing 3 bedroom house in Melbourne, Australia. The tight project budget shaped many of the design decisions from the kitchen bench that becomes part of the stair to the use of stickers on the rear façade to provide screening - required by council to reflect heat and glare. 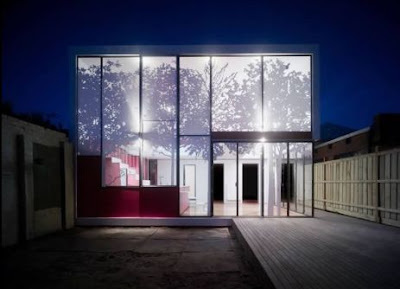 The graphic of the screen is composed of trees that dually softens the impact of adding a modern structure to a traditional neighbourhood both at day and night. 1937 - 2009, acclaimed architect most noted for the Media Centre at the Lords Cricket Oval and the competition entry for the National Library of Prague died on the streets of the Czech city, in the town that he was born. 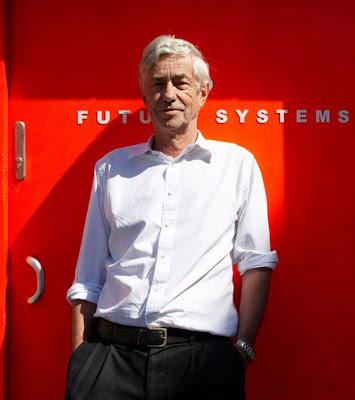 Kaplický was the founding partner of Future Systems, and with ex-wife Amanda Levete carved a radical, less "machine aesthetic" that was strikingly original and organic. 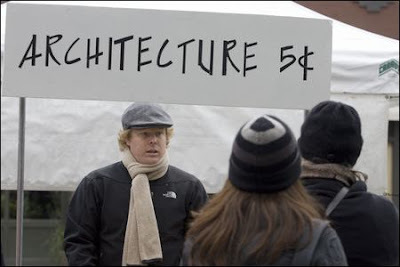 Archinect has completed the tabulation and analysis of a survey of the current climate of the architecture industry. 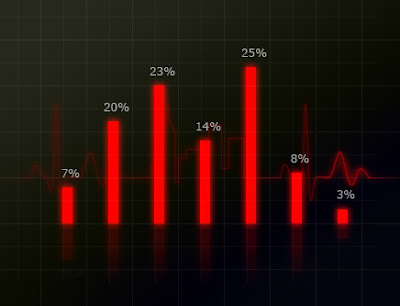 Not limited to but focusing on the US, the data of the survey provides a detailed look into how the recession has directly affected the employment of architects. This 2005 installation by Julius Popp displays words selected from the internet via drops of falling water in precise configuration, each word visible only for a second. The artist makes the correspondence between the medium of flowing water to the constant stream of information. La Casilla from neoabu3 on Vimeo. 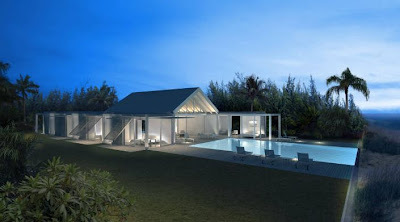 Dezeen recently featured the works of Shigeru Ban as part of Dellis Cay, a project consisting of million dollar villas designed by esteemed architects in the Turks and Caicos Islands. The list also includes Zaha Hadid, David Chipperfield, Kengo Kuma, Piero Lissoni, Chad Oppenheim, among others. I mention this with excitement and reticence. Whilst it is great to have significant works of architecture constructed in the Caribbean - even though they are exclusive private residences, and aside from the historic precedents that exist - I am somewhat concerned with the environmental considerations of these projects. 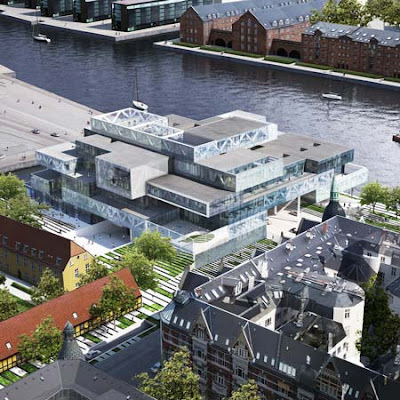 The proposal showed by Shigeru Ban makes me consider if it is fit for purpose. The Caribbean is a brutal environment and requires robust construction. 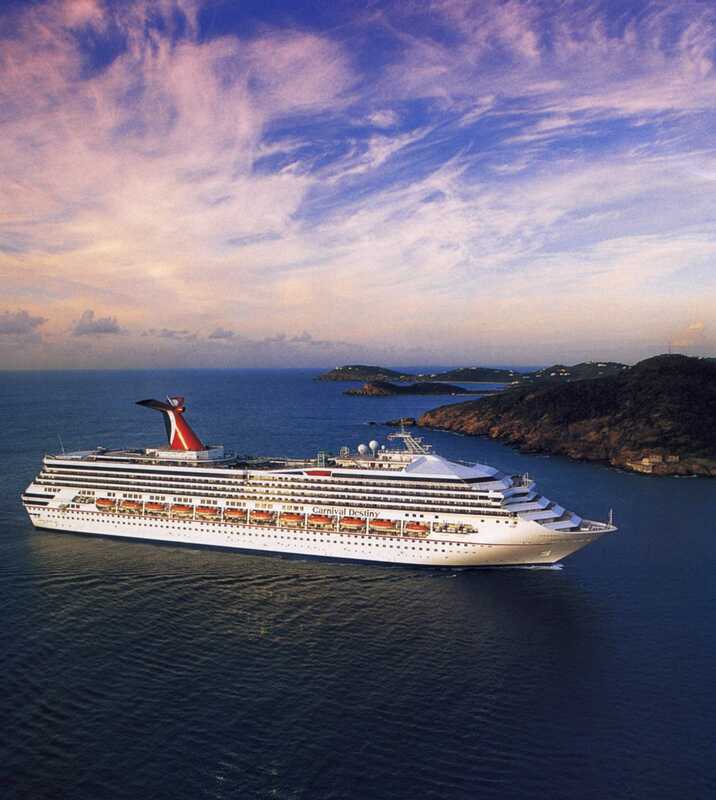 The world was educated on the destructive power that hurricanes yield with Katrina and in the Caribbean the hurricane season runs for over 6 months. We also average over 250 sunny days frequently with temperatures over 29°C that no amount of double glazing can effectively diminish. Throw in the humidity, rising tides and sea level changes and it begs certain questions from many of the renders and imagery shown. 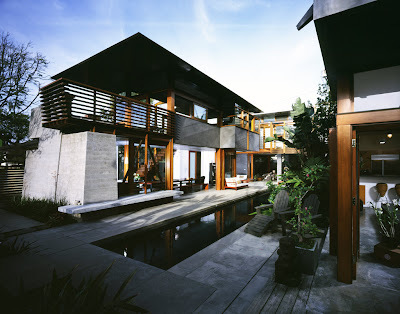 In the Caribbean, environmentally sensitive design is not optional, but for our survival. 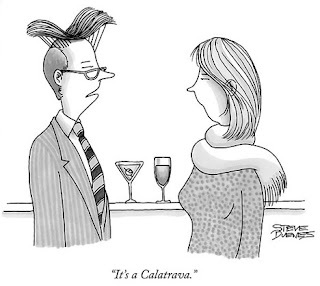 A cautionary word - starchitects take note due diligence is required. 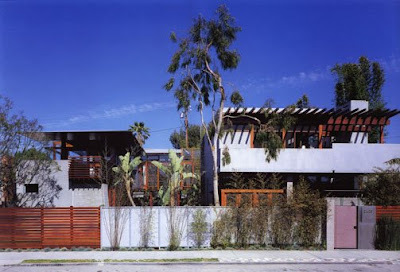 The McKinley residence consists of four distinct two storey structures connected on the upper levels by bridges. Designed by David Hertz Architects/studio of Environmental Architecture (studio EA), the project aimed - despite its 400 sm footprint - to be energy conscious in its construction and use with 70% of its energy coming from a solar array, recycled concrete, and the use passive ventilation throughout the property. Although in a dense Los Angeles neighbourhood the residence is able to skillfully soften the lines between inside and out without intrusion of the surroundings. The residence was made popular as it served as the primary setting for the dark comedy series Californication. 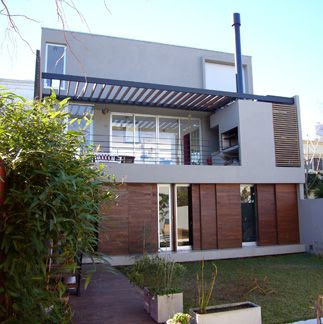 This stylish modern residence was built in Buenos Aires, Argentina and designed by KLM (Kelly Lestard Maldonado Architects). The 350 sq.m building rises out of its context to take advantage of the river views in the distance - whilst the ground floor in contrast opens its elevation entirely of the lot's green space allowing a visual flow from outside to in. 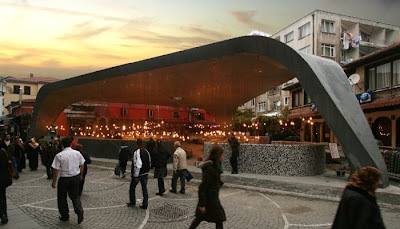 This recently completed Fish Market by Global Architectural Development is located on a triangular site in one of the most populated and diverse communities in Istanbul, Turkey. The roof of the market - a concrete shell - is both iconic and pragmatic, a flash against the traditional context whilst providing a column-free space for the demands of the interior. 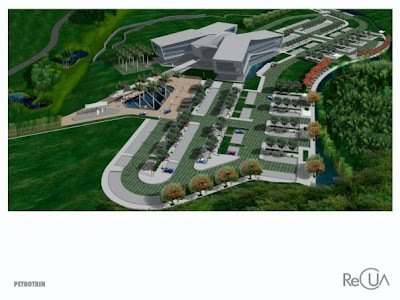 ReCUA (Re: Caribbean Urbanism + Architecture) have recently won first prize in the Landscape Architecture category at the IX Bienal Internacional de Arquitectura de Santo Domingo, with a project in San Fernando, Trinidad designed in collaboration with HCP architects limited. 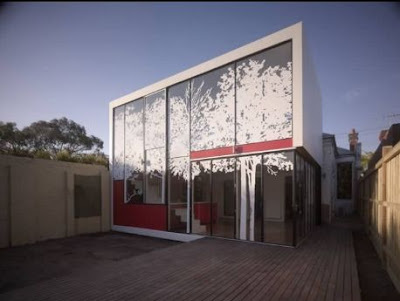 ReCUA were in charged with the site planning and landscape design.